What is Minnesota Operation Lifesaver? We are always looking for high-energy volunteers to help us spread our important message. Our volunteers are everywhere—schools, training programs, law enforcement events and safety fairs—with the common purpose of keeping our citizens safe. You can begin the process today by clicking here. 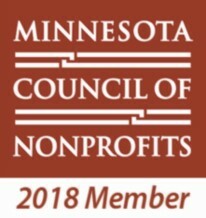 Minnesota Operation Lifesaver, Inc., (MNOL, Inc.) is supported by numerous partners who contribute both financially and through in-kind donations of time and talents. For more information about becoming an MNOL, Inc. partner, please contact Minnesota Operation Lifesaver, Inc., at P.O. Box 22254, Minneapolis, MN 55422; or call 651-328-3259. Rapid City, Pierre & Eastern Railroad, Inc.
to be killed or seriously injured versus a collision involving any other vehicle type. We need YOUR help to bring the number of preventable tragedies closer to zero - contact us today! Click here to find out more about our innovative and creative high school safety challenge funded by a grant from the Federal Railroad Administration in 2017! Visit our blog to read our report on last year's grant project funded by the Federal Highway Administration to educate drivers all across our state! 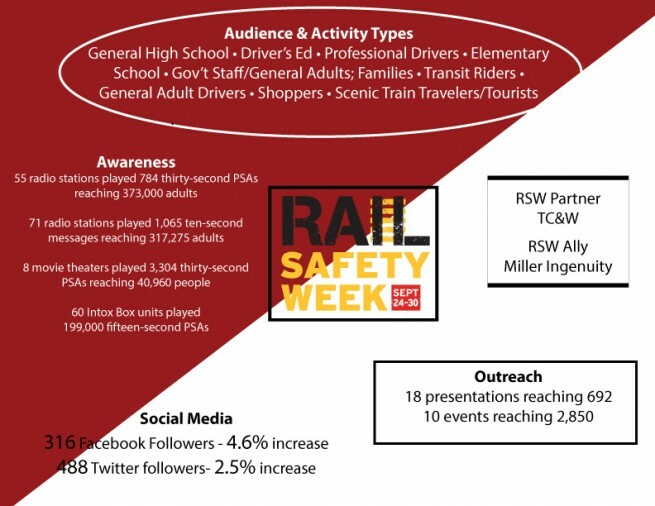 US Rail Safety Week 2017! Links below will help you learn how to keep safe in a vehicle or on foot—and test your knowledge with safety quizzes and games. 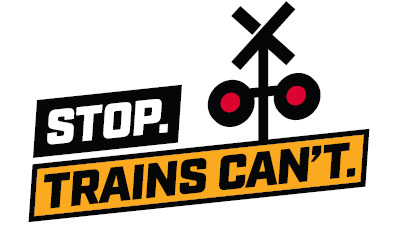 Learn about staying safe around railroad crossings and tracks. Go on a safety safari on our Minnesota Operation Lifesaver, Inc. Safe-a-Rooni™ site. NOTE: By clicking this link you are leaving the main Minnesota Operation Lifesaver, Inc. site.